Do you need a Locksmith in Daylesford? We provide a wide range of Residential & Commercial Locksmith services 24 hours a day, 7 days a week. We provide the highest quality 24-hour emergency Locksmith service in Daylesford and the surrounding areas at a great price. Whether you are locked out of your house or need a lock repair or replacement, we can send a highly qualified locksmith to be with you promptly. Our team of locksmiths are spread out throughout the Daylesford area. Call us today and a professional, reliable and efficient locksmith will be on his way to you. The Daylesford locksmiths teams are always ready in order to respond to you quickly. One call to our 24-hour number is all it takes to get a team dispatched and on its way to making your life a little more secure. Nothing is worse than losing your keys- that panic as you wonder where they could be and if someone could be using them to access your home right now. We take Lost or stolen keys seriously, and at Daylesford Locksmiths, we have the tools and equipment to help. Our professional locksmiths can get you back inside quickly, and with the on-site mobile workstations, they can cut you a duplicate set of keys, or change your lock on the spot. The worst part of being locked out of your own home has to be the frustration. Before you put a brick through your own window, comprising your security and costing you more time and money to fix the window, give us a call. We provide a full range of Residential services in the Daylesford area. Daylesford Locksmiths can get your lock open in no time, so you can get in and recover your keys at less than half the cost of a new window. With our mobile emergency teams on standby every hour of the day, there is never a long wait. If your home does get broken into, you are going to want to change your locks. While lightning doesn’t strike twice, sometimes thieves do. 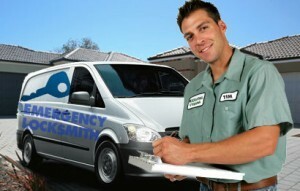 An emergency residential locksmith can change your locks and get you a new set of keys right from their truck. To prevent thieves from coming back, or to discourage them from coming by the first time, we offer a wide range of high-quality locks to choose from, so you know you have the best security possible. Many businesses need more than ordinary locks. As a business owner, you know you need the best security possible, and we have the products and know-how to give it to you. Remain in control of your business with our master key systems, and keep your locks up to date so that only those people who should have access to your assets do. Our Commercial locksmith service in Daylesford can do everything from installing high-tech security systems to fixing broken desk locks to keep your business running smoothly. With our emergency locksmith services on call 24 hours a day, you don’t have to worry when something goes wrong late at night, we can take care of your every commercial locksmith need any hour of the day. We keep locksmiths on call 24/7 so that no matter when a lock disaster strikes, you are covered. Call us anytime and we will have a friendly professional out to you fast. You know you can rely on us any day, night or weekend to get you back on track fast, and all at the best prices in Daylesford. Have you locked yourself out of your car? Call us because we have helped many drivers who found themselves not able to get back into their cars for some reason. 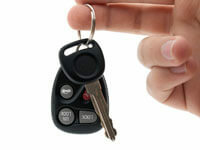 If you want an additional set of car keys, we are able to make them for you within a short time. 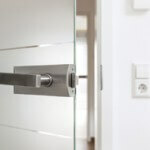 DAYLESFORD LOCKSMITHS WHY CHOOSE US? 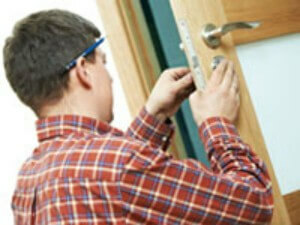 • All our professional locksmiths are certified, licensed, and insured. Lose your keys? Get locked out? These things happen, and you need someone on your side when they do. We have the reliable professionals you need when keys go missing, locks jam or combinations get lost. Call us today for fast service at a price that can’t be beaten.